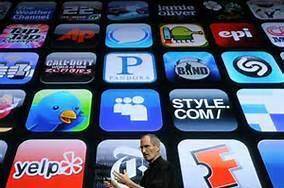 At every conference or tech summit I attend there is at least one person talking about the latest app developer millionaires and billionaires. The conversation then pivots to their idea for the next big moneymaker. It seems that I’m not the only one that gets pitched to help develop, market, fund or asked for feedback on their fantastic concept. Unfortunately, most are just not worth developing for one or many reasons. Shock Therapy – rather than just monitor your activity, this will activate a small electric shock to remind you to keep moving, eat better, etc. There is still a huge market for apps, especially as Android and Windows mobile platforms gain popularity. Just be sure to invest your energies wisely.